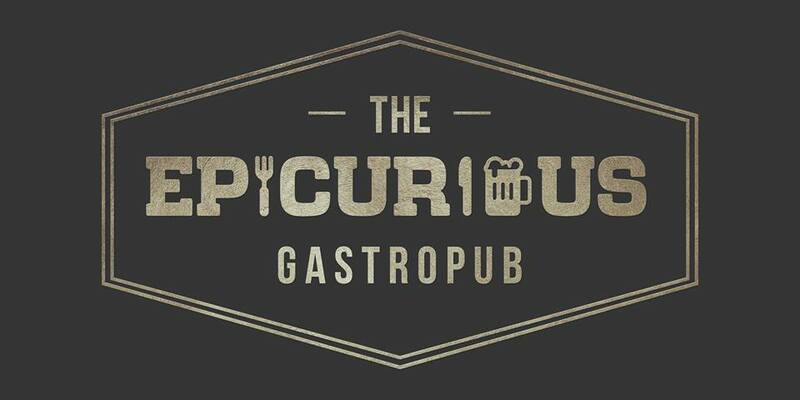 I received a message inviting me to a soft opening and tasting event for the menu of "The Epicurious Gastropub". 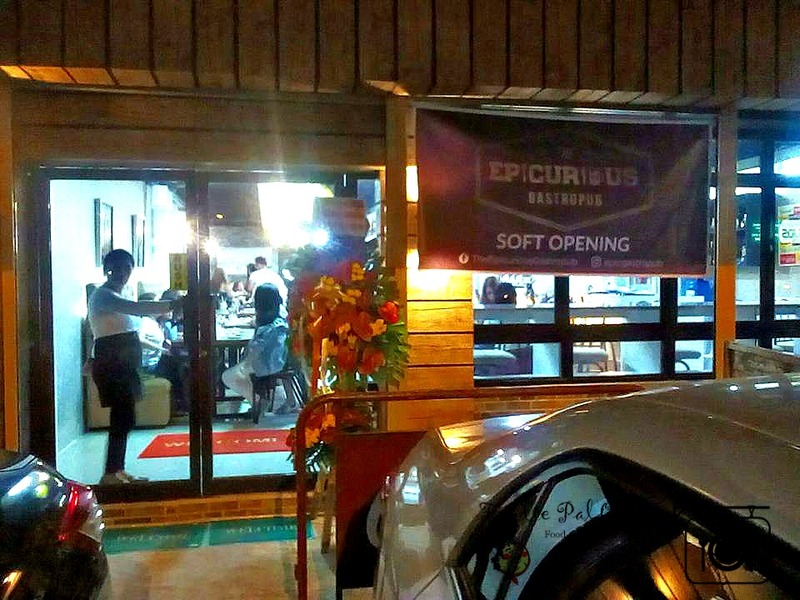 As I lounged inside our living room, preparing all my things for the said event, all I could think about was --- what does EPICURIOUS mean and how I get so lucky to taste their food! I eventually get my dictionary and look for the meaning of it. 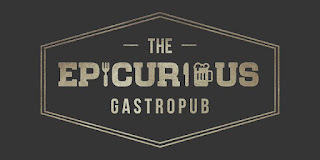 Ok, Epicurious from the word EPICURE or a person who takes particular pleasure in fine food and drinks and CURIOUS ...Hmmm..sounds perfect to me! A full of understanding before going to the event. Found this eatery a bit new to me and intriguing. When I arrive, the place was full of invited guests. 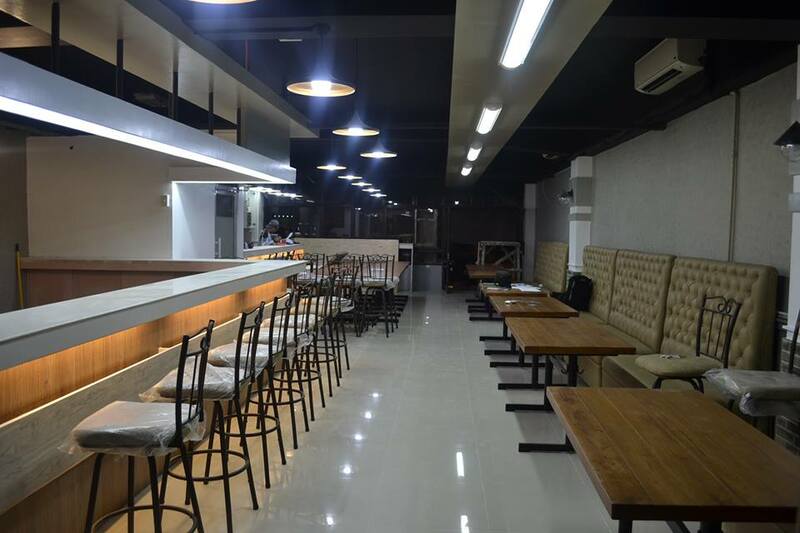 And I'm amaze with the interior and the concept they have with their gastropub. 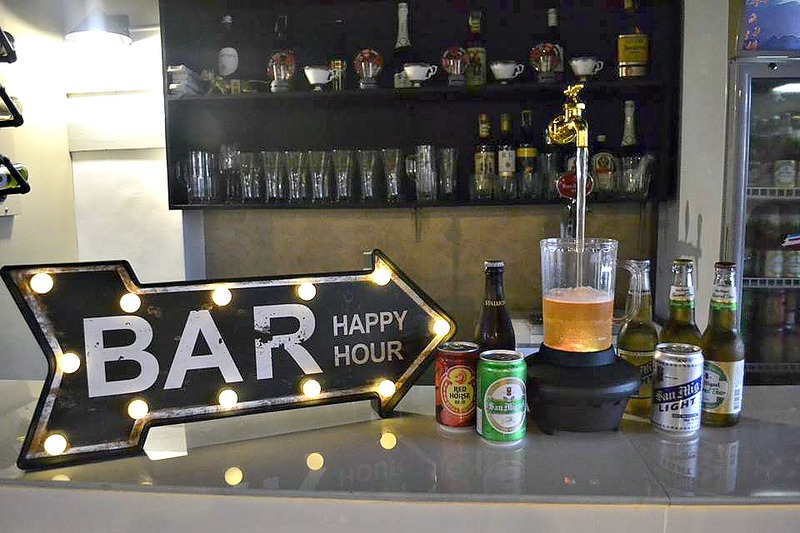 A Contemporary Euro-Asian Gastropub that has a bar and a restaurant that serves fusion dishes and drinks. 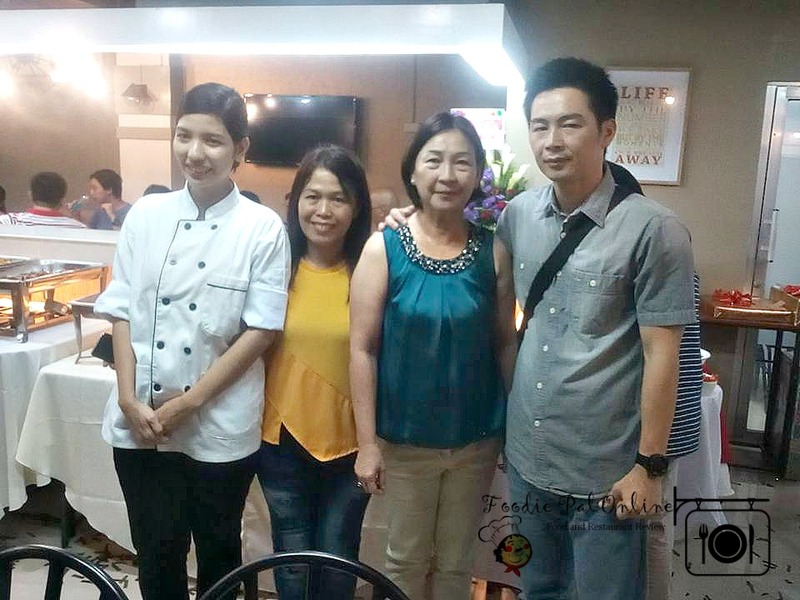 A dedication ceremony was first presided over by a Pastor followed by a birthday celebration, and the whole reason why #TEAMDDI was invited by Cheska Jopson (the Chef and one of the corporate owner) was because The Epicurious Gastropub wanted food and lifestyle bloggers to taste their dishes - the idea that we can help them shape and improve their menu. Menu and the Price are subject to change. As the management is trying to upgrade and do some changes with the taste and pricing. 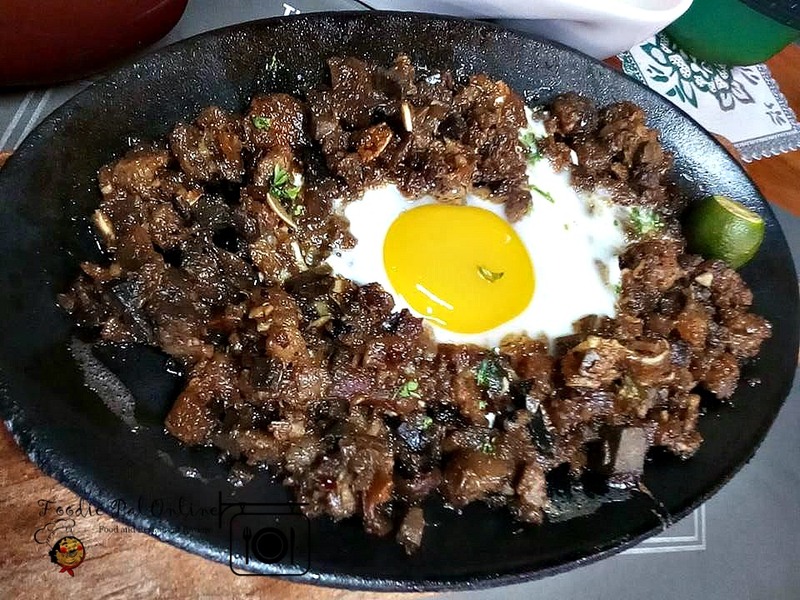 For the soft opening they want us to try their three-kinds of menu from their Blackened Specials, Classic Comfort and Silog Combos list. Dry-rubbed then grilled spare ribs, served with buttered vegetables and rice. This is my fave. I enjoyed this dish more than I did with the Chicken Mole Adobo. A must try! Honestly, I love salmon so much. 1. What happened here is that the sauce used here for dipping doesn't compliments with the salmon (there's an after taste) and 2. 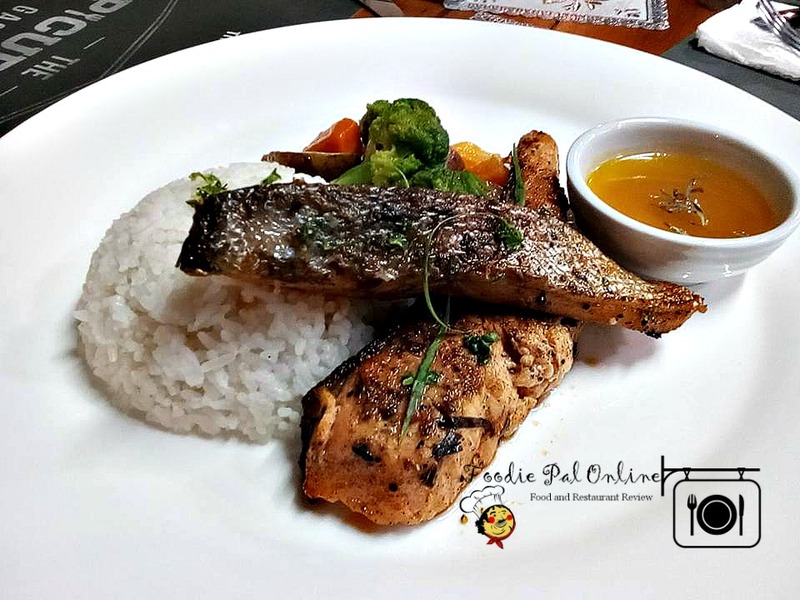 I like salmon more when it is served alone, even if without the sauce, because the fish itself is marinated and it has already the taste of perfection you want for a dish. served with buttered vegetables, rice and sauce. This dish made me really appreciate finally being able to taste the NZ Rib Eye Steak! 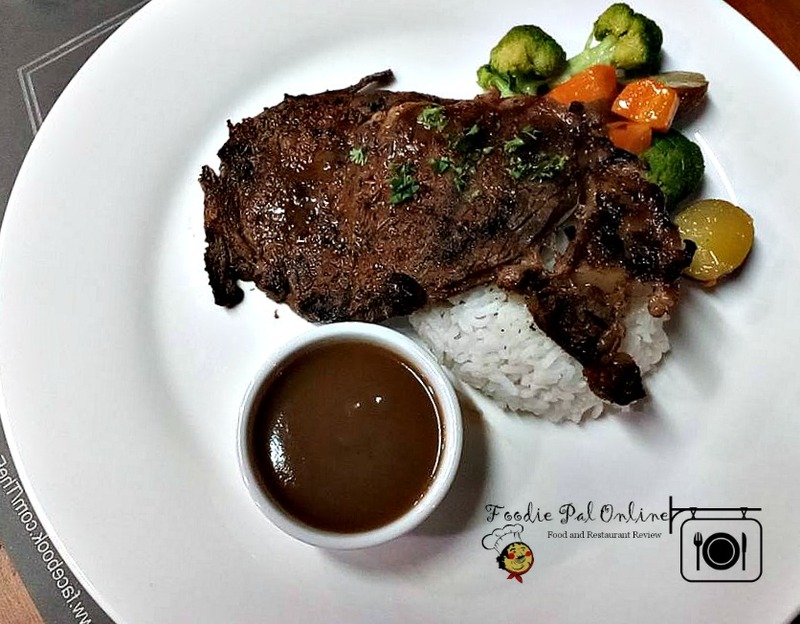 I like the way they cook the rib eye, so appealing to the palate and the sauce really compliment with the steak. Absolutely yummy same with the spare ribs! 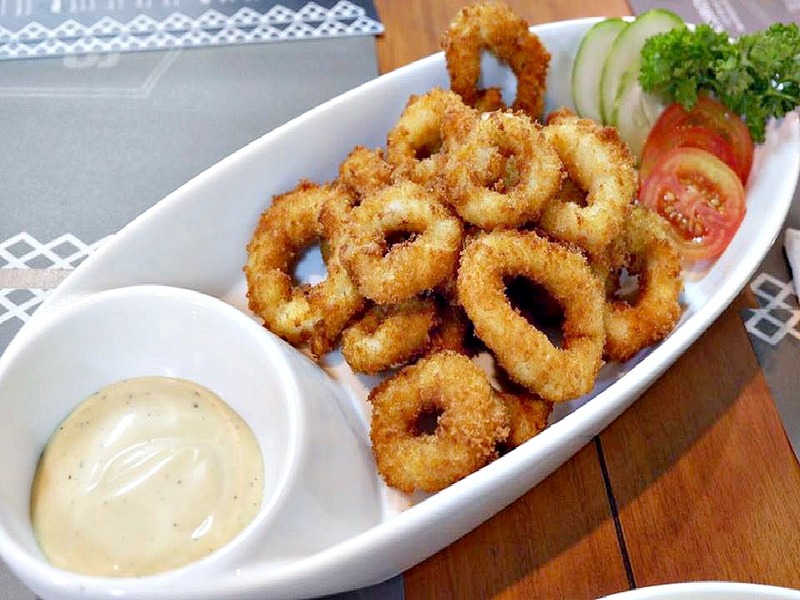 I like the white dipping sauce (Tartar Sauce) a perfect tangy condiment for this fried calamari. When you taste it you will imagine every bites it taste crunchy and soft in the inside --- well probably because squid is almost always delicious. Served chicken (cut in to strips) in mole adobo sauce with dark chocolate twist. Well, here it goes...my curiosity hits me with this dish. First time to hear about Mole Adobo. So what does mole (Mexican sauce) means, it contains about 20 ingredients, that includes chili peppers and chocolate, the two works together to counterpart the heat of the chili peppers, but the chocolate doesn't dominate it just helps to darken the sauce. 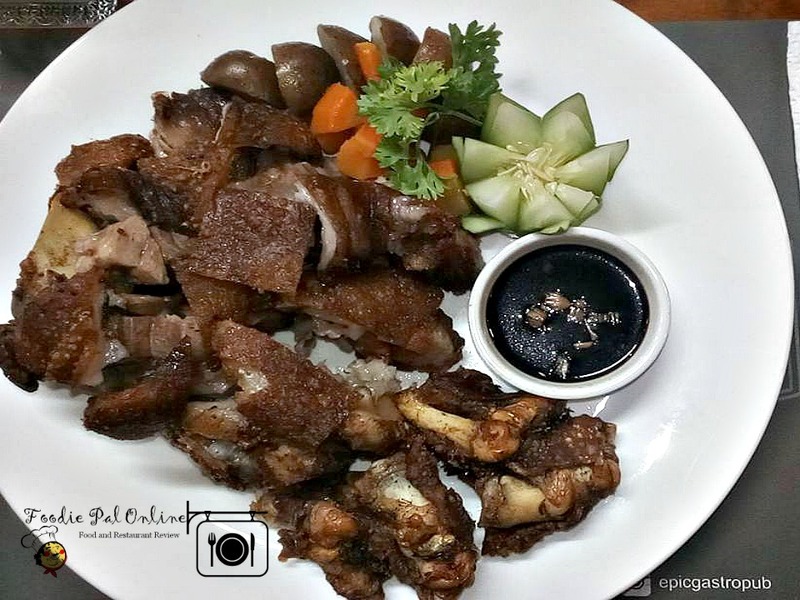 While adobo is a Filipino fave dish, a chili-based marinade or sauce that has vinegar, onion and garlic and contain other herbs and spices. 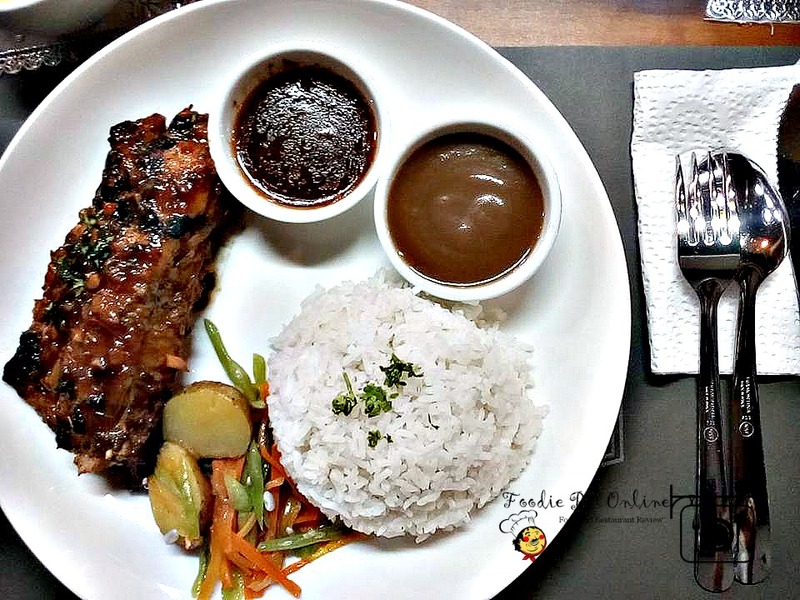 I love this recipe, mixing chicken adobo with mole is a fusion dish that Epicurious serve at their gastropub. The taste is very unique far from my lola's good old fashioned take. It is just savory - has a semi-sweet, semi-bitter richness! A Mexican spin on our National dish indeed! 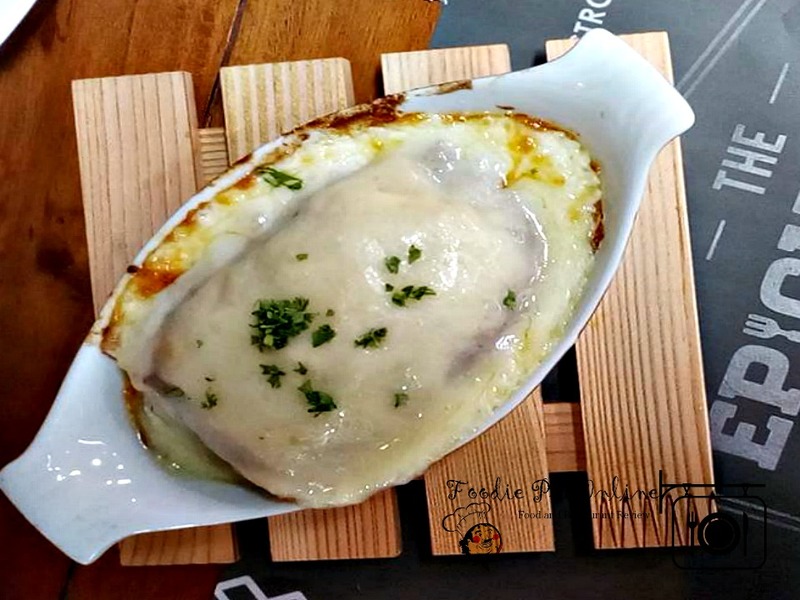 topped with bechamel sauce, served with Ciabatta bread. Who doesn't love Lasagna? For me, this is one of my comfort food and it is cheap. If you're on a budget and you want to stay full in a day - this is your go-to meal. 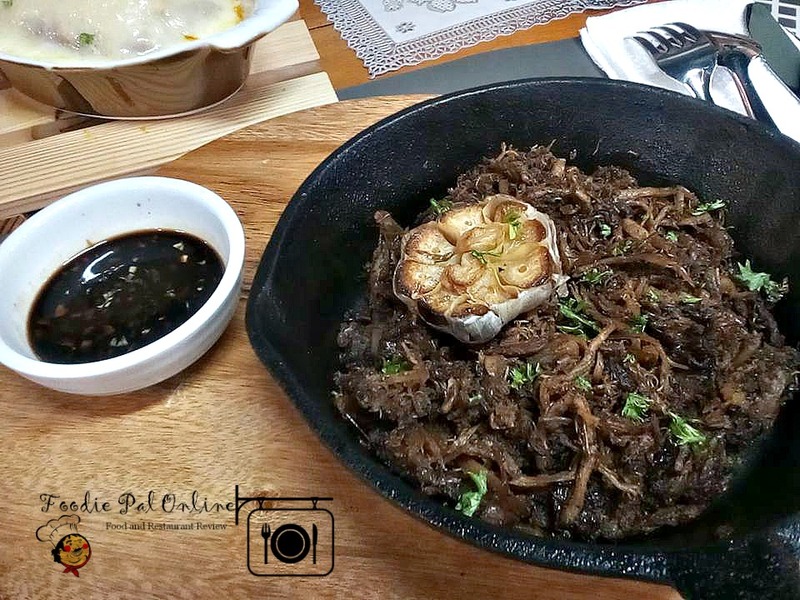 Try this dish and for sure you gonna love it! These is good for "pulutan" (appetizer) pair with alcoholic drinks. 1. 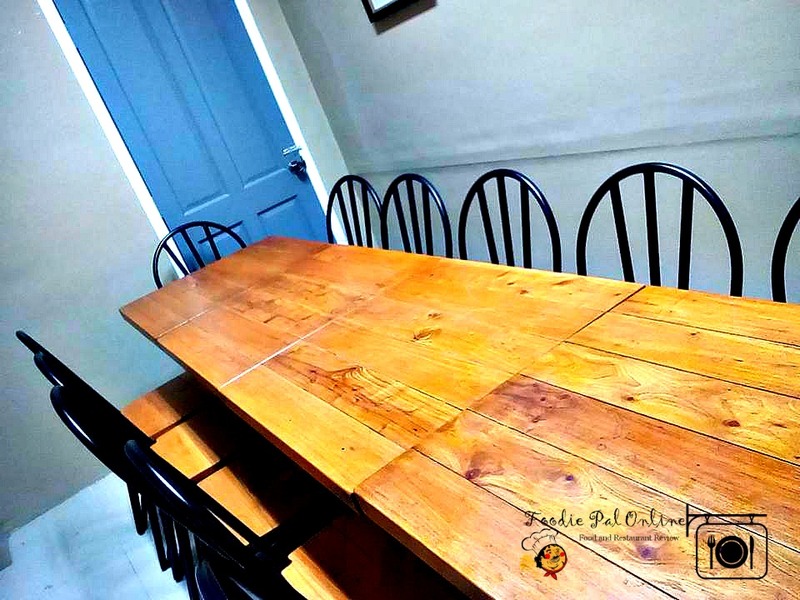 For me, the place is good for gatherings though the place is not that spacious, well if you want to make it exclusive like birthday parties or family reunion - you can. 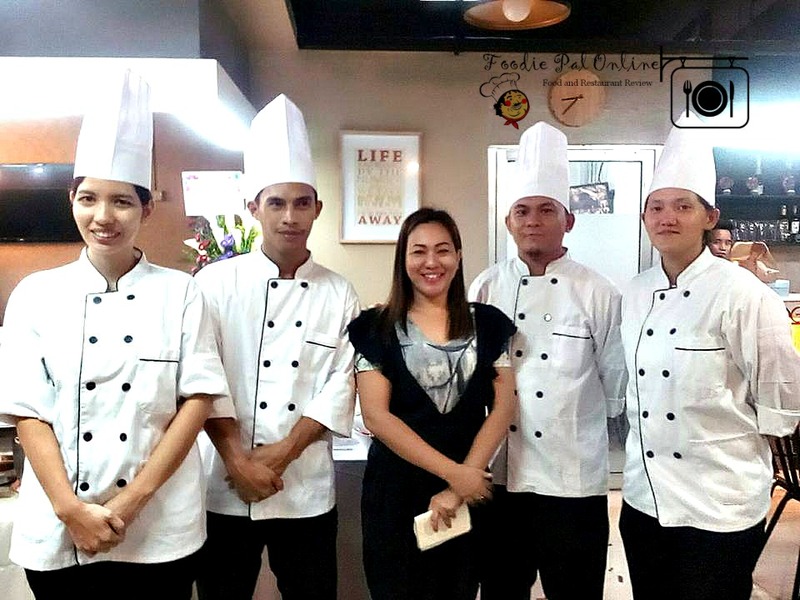 They have A la Carte and they also have BUFFET every Sunday, a lunch for only PHp399 and dinner for PHp499. 2. 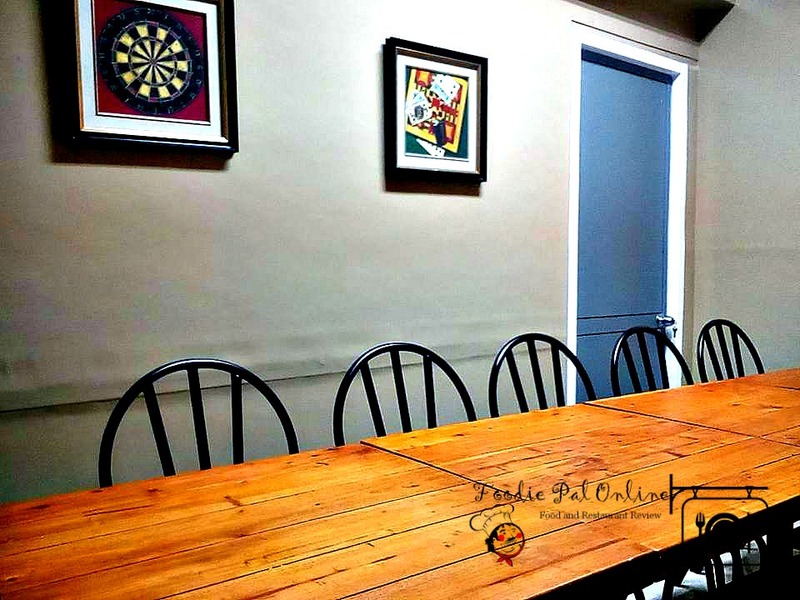 A small function room for your exclusive meeting. 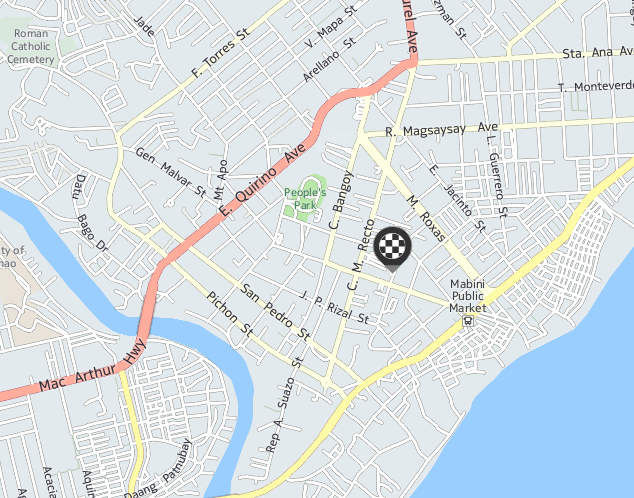 Good for 10-15 pax. Indeed the food was eclectic with everything from blackened spare sibs, rib eye, calamari, and chicken mole adobo. The portions was generous and the price is very reasonable. 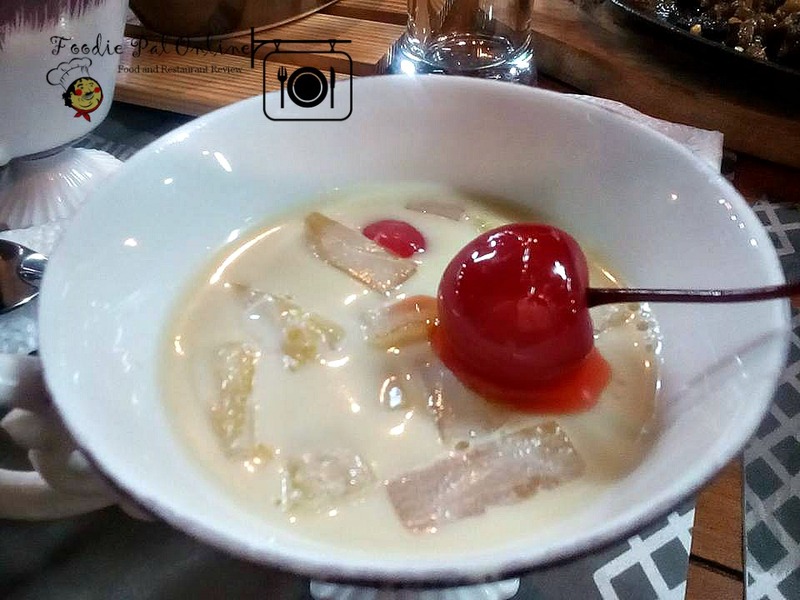 We have this dessert, Panna Cotta - it's so good, creamy and I like it because it is not so sweet. Perfect for my taste bud! 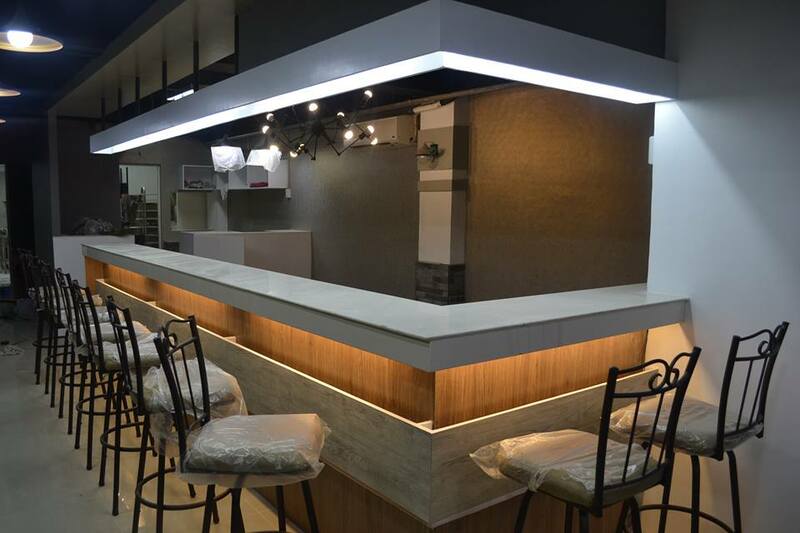 Menu for drinks and cocktails is not yet available. But for that night, they have this lemonade that's so simple, fresh, delicious and refreshing! 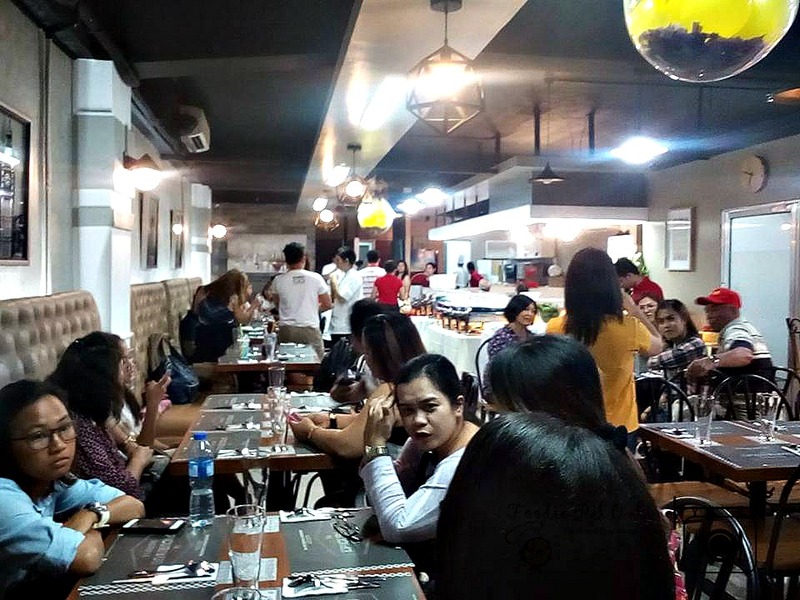 Cheska Jopson, the Chef and co-owner of The Epicurious Gastropub said that they are changing the menu and they are in a transition stage as they are just starting up their business. 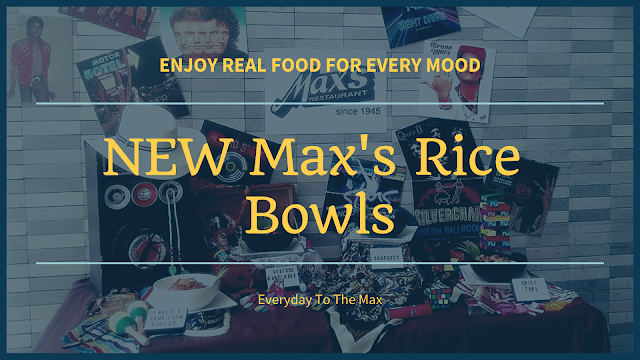 So expect for more dishes to come! 1. 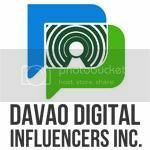 Indeed the menu has interesting items, though it is not final but I think they need to add more dish/meal that are not typical run of the meal selections that we usually see and eat here in Davao. 2. Cool atmosphere. Well it's a gastropub expect that the place use dim lights - not so dark and not so bright! 3. Parking can be a bit of a challenge, but with patience not a problem. 4. Food is uniquely prepared with interesting spices. 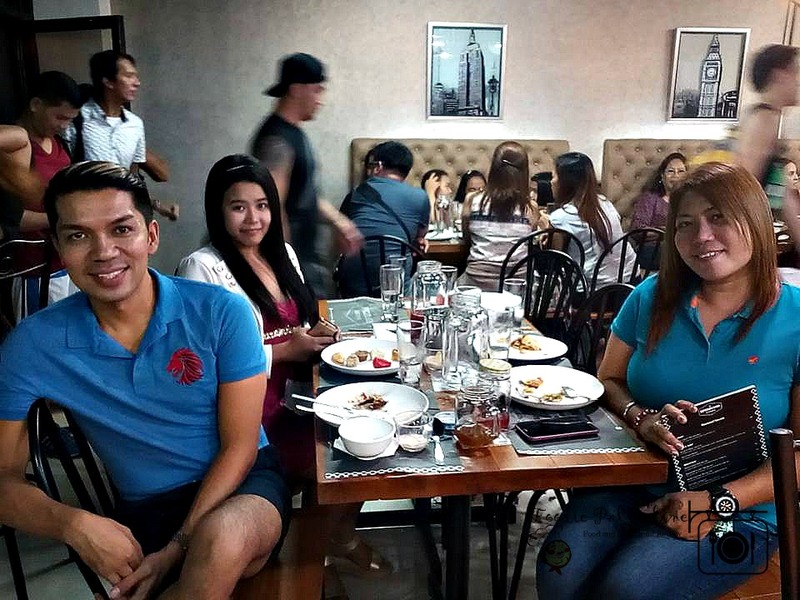 I ended up being in love with the food, especially the Blackened Spare Ribs, Pork Sisig and Chicken Adobo Mole. A must try! 5. Just use proper ingredients, so that it will not affect the recipe. 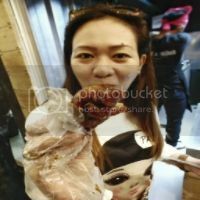 Customers are very sensitive, especially if they know the right taste of the dish. 6. The quality was admirable. 7. 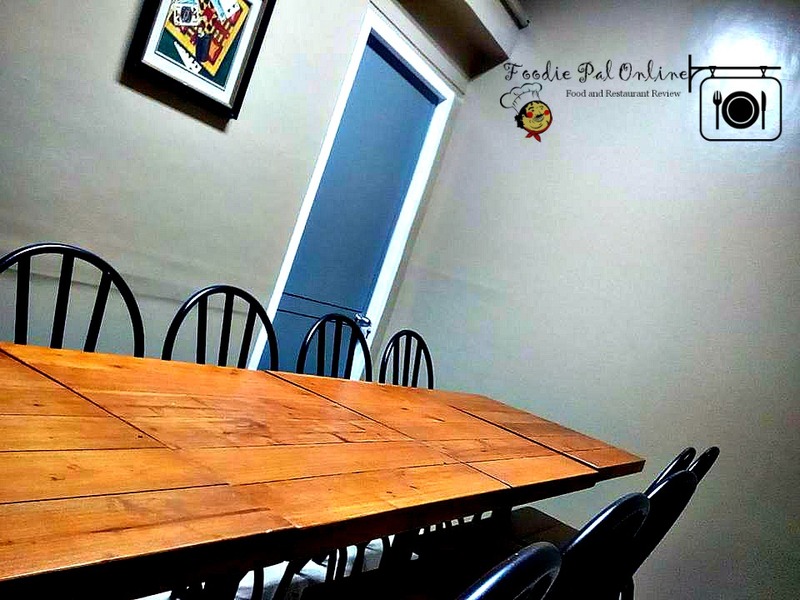 For the staff, they all are down to earth and very attentive. And I have to say, I'm definitely coming back to this trendy spot! 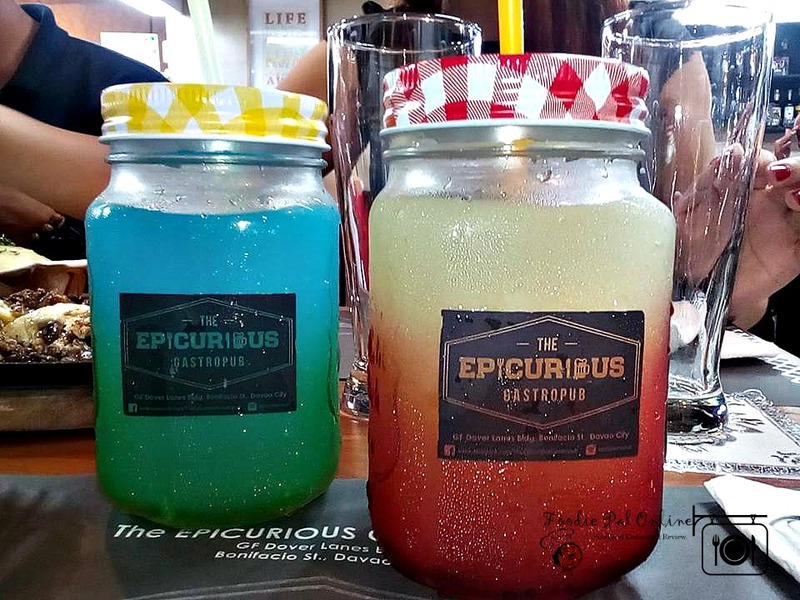 You can visit Epicurious Gastropub now! Special thanks to Sofia Jopson for the invite.